Feb. 13, 2014—With Valentine’s Day just one day away, Vanderbilt Heart and Vascular Institute cardiologist Julie Damp, M.D., says being involved in a healthy, loving relationship is good for the heart.  Feb. 13, 2014—Health care service and access are at the crux of new Vanderbilt University Medical Center leadership appointments. Feb. 13, 2014—Vanderbilt-Ingram Cancer Center (VICC) and GenomOncology have announced an agreement for the exclusive commercial development of a decision support tool based on My Cancer Genome, an online precision cancer medicine knowledge resource for physicians, patients, caregivers and researchers. Feb. 13, 2014—Vanderbilt University Medical Center’s Richard Ho, M.D., MSCI, has received a presidential honor for his innovative studies of mechanisms by which drug transporter proteins mediate the absorption, distribution and elimination of chemotherapeutic agents. Feb. 13, 2014—Russ Altman, M.D., Ph.D., professor of Bioengineering, Genetics and Medicine at Stanford University, posed an intriguing question at last week’s Discovery Lecture: is it possible to predict drug side effects from the 3D-structure of proteins? Feb. 13, 2014—Neuroscientist Karl Deisseroth, M.D., Ph.D., renowned for his development of tools that allow scientists to control and map brain circuits, will deliver the next Flexner Discovery Lecture on Thursday, Feb. 22. Feb. 13, 2014—Jenny Slayton, R.N., MSN, has been appointed to the newly created role of executive director of Quality Improvement for Vanderbilt University Medical Center. Feb. 13, 2014—Rene Love, DNP, MSN, has been named director of the Psychiatric Mental Health Nurse Practitioner Program at Vanderbilt University School of Nursing. She succeeds Susie Adams, Ph.D., R.N., who was recently named Nursing Faculty Scholar for Community Engaged Behavioral Health at VUSN. Feb. 13, 2014—George Wanna, M.D., assistant professor of Otolaryngology-Head and Neck Surgery, has been named to receive the Harris P. Mosher Award from the American Laryngological, Rhinological and Otological Society Inc., also known as the Triological Society. Feb. 13, 2014—The musical group Blackhawk recently performed for patients at Vanderbilt-Ingram Cancer Center. The group raises funds for the Cancer Center in honor of former bandmate Van Stephenson, who died from melanoma.